View from inside an ice cave, Rifle Mountain Park. 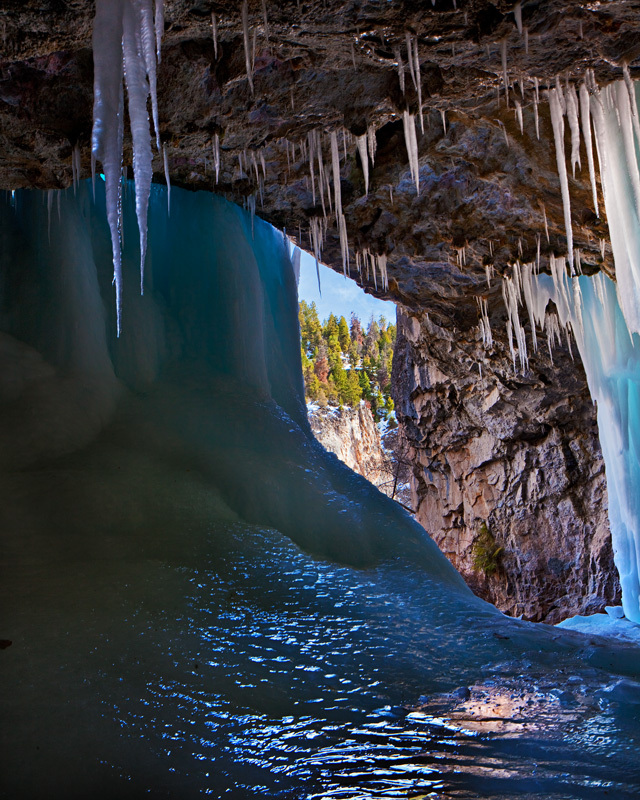 Every winter, I try to make one or two trips to the ice caves in Rifle Mountain Park, a unique area in northwest Colorado. The park is best known for its world class ice and rock climbing, but I like it for the great photo opportunities. Every year the flow of ice is a bit different due to weather and the pattern of thaw and freeze cycles. There’s always something new to photograph. 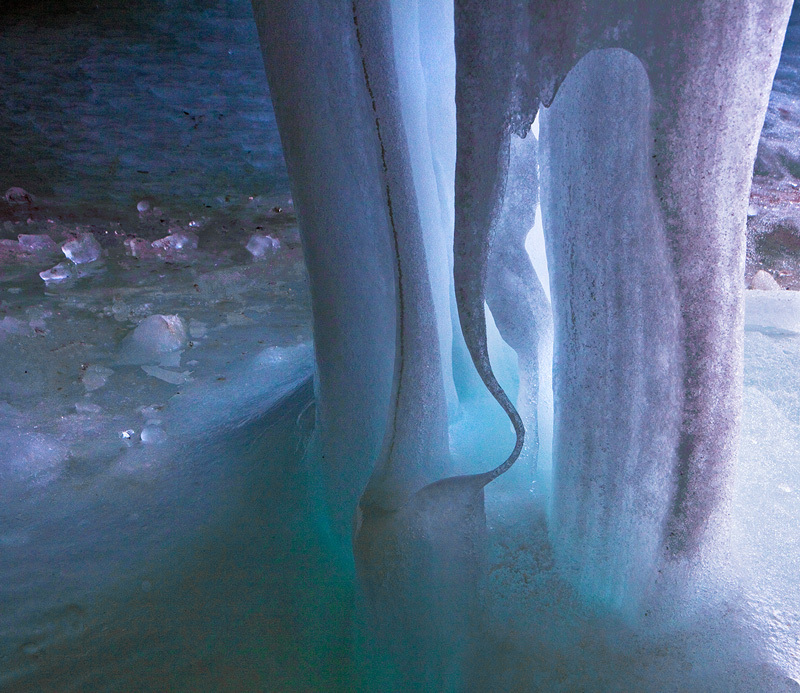 Strange Ice formation in an ice cave. When I saw the title, I thought you had gone all the way up to Minnesota (oops, Wisconsin). I had to be up there for some personal stuff in early March, so my brother and I went to the ice caves on Lake Superior, very cool (not to mention quite cold), only accessible when Lake Superior freezes, which happens only every 10 years or so. I didn’t know Colorado had its own ice caves. 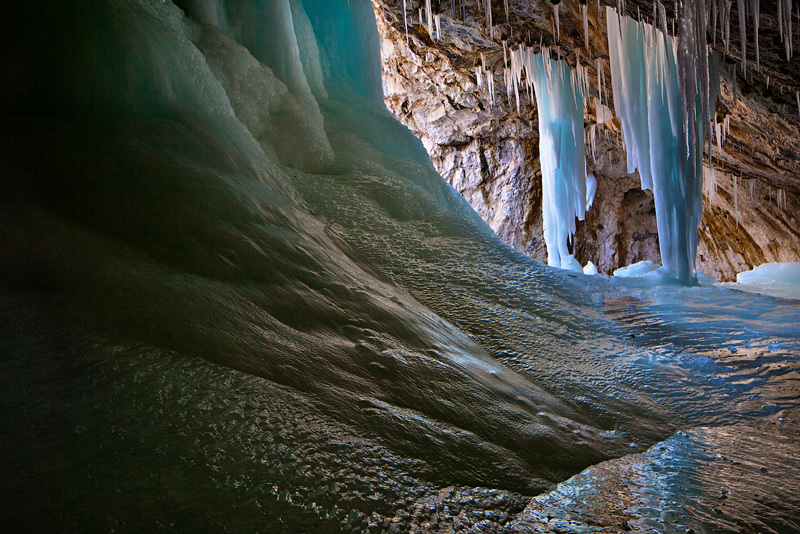 Here is a shot that looks a bit like a mirror image of yours, but from the Lake Superior caves. 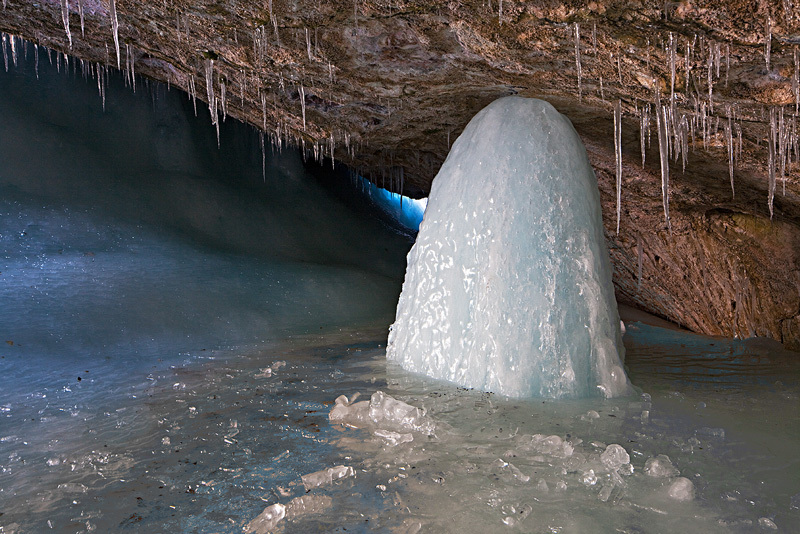 Hey Patrick–I WISH I could have made it to the L Superior Caves–I had to drool from a distance this winter! The CO caves are smaller. Nice shot!